Itchy legs after shaving is a common dilemma for women. Painful scratching can put even the most rational woman into a fit of frustration and tears. Itchy legs after shaving can happen for a few reasons, one being dry skin. Sometimes, a rash may even appear after shaving. There are, however, many different ways and techniques to treat and prevent this irritating issue. There are a few causes for itchy skin and rashes after shaving legs. These causes can be your own skin issues and some are caused directly from shaving. If you already have dry skin, pressing any kind of object against your skin can cause irritation. This can include doing something as simple as drying off with a towel after showering. People with sensitive skin are bothered by any possible irritant. Rashes after shaving legs are a common problem for people with sensitive skin. Using a dull razor can cause you to press too hard on your skin while shaving, causing legs to be itchy and possible causing a rash. Dull razors simply do not work as you need them to. Pushing harder to try and make them work better will only cause yourself discomfort and you will most likely still not get the close shave you are looking for. Using a dull razor, shaving too close to the skin, and pressing a razor too hard to the skin will cause razor burn. This painful issue can also be caused by dry shaving and cold shaving. Itchy legs after shaving and rash after shaving legs will make you naturally want to scratch. Unfortunately, although this may soothe the flare-up at that present moment, scratching will only make legs itch worse. There are numerous methods of how to stop itching after shaving legs. There are many over-the-counter treatments, as well as natural treatments. Anti-itch creams which contain 1% hydrocortisone cream can also be beneficial in soothing the itch; especially when there is a rash on legs after shaving. 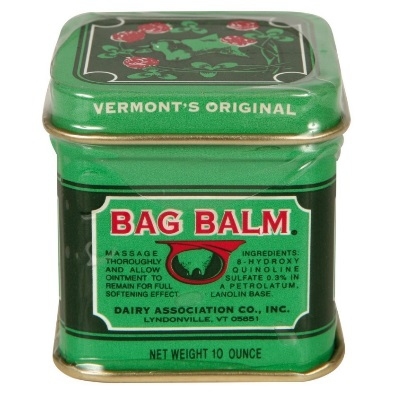 Bag Balm, originally created to soothe the teets on cows that are nursing or being milked, this product has long been the staple in many homes as a natural treatment for dry and irritated skin. Any of the following naturally found items can help with itchy legs after shaving, including itchy legs that have developed a rash. These natural soothers can be used in a lotion, cream, spray, or simply by themselves. 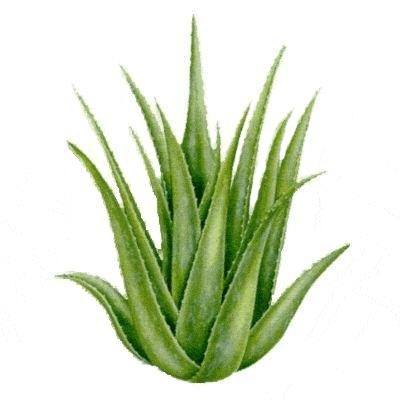 Aloe is a natural soother used for many skin irritations, including sunburn. Juice from aloe can be applied directly from the plant source. Oatmeal is, by far, one of the best natural treatments for how to stop itching after shaving legs. Taking an oatmeal bath will help soothe any itch or rash, including hives from an allergic reaction. Simply use a knee high stocking, fill with oatmeal, and use as a body pouf within the bath waters. Oatmeal will not only soothe irritated skin but also intensely moisturize, leaving skin feeling soft and smooth. Vitamin E oil is usually found in lotions (but can also be found in drops at your local health food or beauty facility). Vitamin E oil is a natural moisturizer and will soothe irritated and dry skin fairly quickly. Lavender will not only soothe the skin but also the senses. Use in a bath to alleviate itch and pain, and also to de-stress. Soothe away pain and stress in a lavender bath. Tea tree oil has long been used as a natural antiseptic. Used most often for skin issues such as acne, dandruff and eczema, tea tree oil will balance skin and ease irritation. Witch hazel is a natural astringent; balances and tones skin after using irritating products, including shaving products and soaps. There are many techniques in the prevention of itchy legs after shaving. These techniques are applied both before, during and after shaving. Use warm (not hot) water to shave legs in. Hot water depletes moisture from skin. Warm water will help soften hairs and softer hairs allow for a smoother shave. Be sure to exfoliate before and after shaving. Exfoliate before shaving to align hairs for a more even shave and to remove dead skin for a closer shave. Exfoliate after shaving to unclog any products used for shaving. Exfoliating after shaving also helps prevent ingrown hairs. Always use shaving creams or products when shaving in order to hydrate skin. Never use water alone. Although you can use soap, it is not recommended as it can dry skin out. If you like the feel of soap for shaving, try goat milk soap which actually neutralizes the pH in your skin. If you have sensitive skin, try sensitive shaving products that contain aloe. Leave shaving cream on your legs for approximately three minutes to further soften hairs. Shave in the direction of your hair growth. If you shave hairs against the grain, irritation and bumps can occur. Shave lightly with a sharp razor. Do not use dull razors! Dull razors and added pressure while shaving will cause irritation and most likely a rash. After shaving and exfoliation, rinse legs with cool water. This will allow pores to close, preventing any outside irritants to enter your skin. After rinsing with cold water, pat legs dry. Do not rub. Rubbing opens pores and allows irritants in; and also strips away layers of new skin. Pat legs with witch hazel to tone and neutralize before using a lotion or cream. Use moisturizers that contain no perfumes, dyes or alcohol as these can dry out and further irritate skin. Try bag balm or a specialty after shave cream. Stay away from all products that contain perfumes, dyes and alcohol, especially those with sensitive or dry skin. If skin develops a rash that either appears to be infected or doesn’t clear within a few days, contact your doctor. The rash could be a medical issue that is more severe such as dermatitis, eczema, or staph infection. Server responsed at: 04/22/2019 4:28 a.m.